Thomas Whitley combines his unique background in anatomy and physiology to advocate for injured people. He has practiced workers' compensation law since 1978 and is a certified specialist by the State Bar of Arizona. A native Arizonan, Thomas has close ties to Flagstaff and communities in northern Arizona. 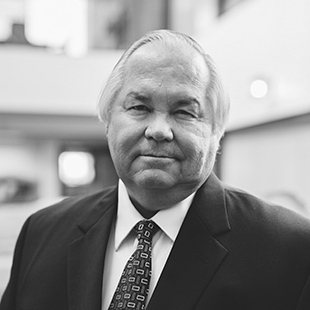 He earned his Bachelor's Degree in biological sciences from Creighton University in 1971 and his Juris Doctorate at Creighton University's School of Law, graduating in 1978. Thomas is a former administrative law judge with the Industrial Commission of Arizona and is a member of the State Bar of Arizona, American Bar Association and the National Trial Lawyers. He is a member of the Navajo Nation Bar Association and has served as pro bono counsel to many Diné clients. He is a past faculty member of the American Institute of Paralegal Studies and has been published in The Arizona Attorney and other State Bar of Arizona publications. Supporting youth athletics is a big part of Thomas’ life. He has been involved as a coach, referee, umpire and has held many board and leadership roles on youth athletic programs. Outside of the courtroom and off the field, he enjoys spending time with his family, reading and travel. In Carr, the Court of Appeals of Arizona ruled that an injured worker who is required to travel outside his community to receive medical treatment is entitled to be reimbursed for his travel expenses. The court reasoned that denying reimbursement for travel expenses would result in a financial hardship for the injured worker and would deny him medical treatment that he is entitled to receive under Arizona workers’ compensation laws. In Madison, the Court of Appeals of Arizona ruled that a witness in a proceeding before the ICA, although not a medical doctor, may offer medical testimony as long as he or she possesses the necessary qualifications to be knowledgable on the facts of the specific case. Accordingly, the court affirmed the ALJ’s ruling in favor of the injured worker because he or she had met his or her burden of proof.